Carrot cake - home cooked food delivered. 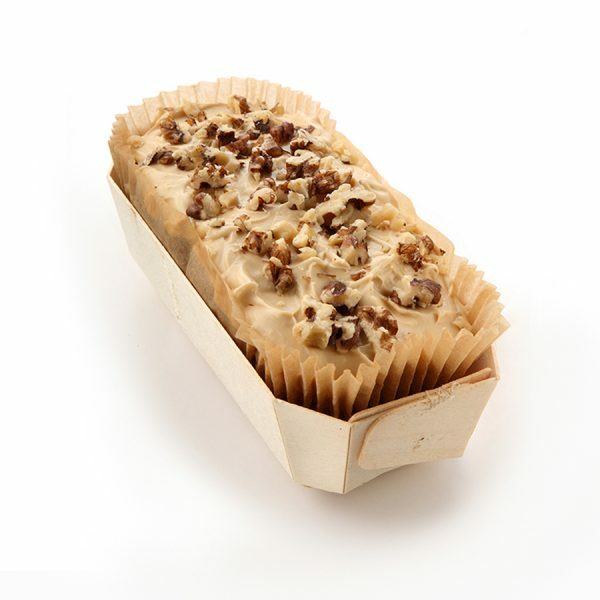 Our traditional homemade carrot cake receives a stylish makeover, with the addition of roasted pecans and ground almonds for extra taste and texture. The sumptuous vanilla mascarpone topping makes this carrot cake taste like no other. Gluten free. Oranges, sultanas, pecans (NUTS), free range EGGS, light muscovado sugar, grated carrots, rice flour, ground almonds (NUTS), cinnamon, baking powder, vanilla extract, salt, mascarpone (MILK).